I have something pretty special to share with all of you today, Some really fun Halloween inspiration. Last month 20 of my projects went to HSN for Craft Day. I snatched a photo showing the beautiful display shown above. The center card is one of my personal projects mixed with other amazing projects by our design team. Isn't that cat ADORABLE on Winnie Witches Hat??? I am honored to be working with such an amazing team of ladies at LDRS Creative. I am showcasing a card from the show; here is Winnie Broomstick. My focus for this card was the coloring of this amazing stamp. 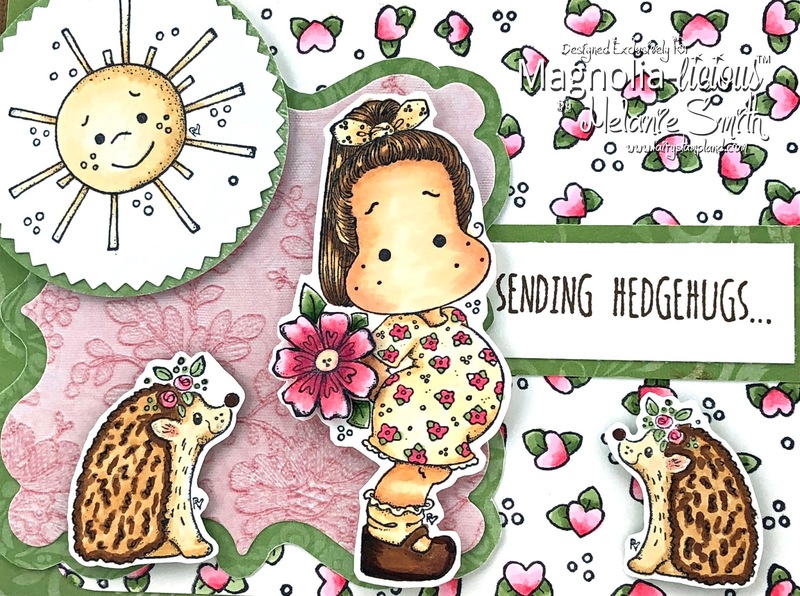 Polkadoodle stamps are so beautifully detailed and you cannot help but color to your hearts content. I especially liked coloring her green hair!!! Take a closer look below. My card base is a 5.5" square. For my second layer I have used a piece from our New 6x6" paper stack called "Wicked". My piece is cut to 5" square leaving a nice 1/4" border. I simply stamped Winnie Broomstick onto a pre cut white die cut and after coloring I decorated these simple layers with a sprinkle of pre cut glimmer stars and sequins from my embellishment stash. 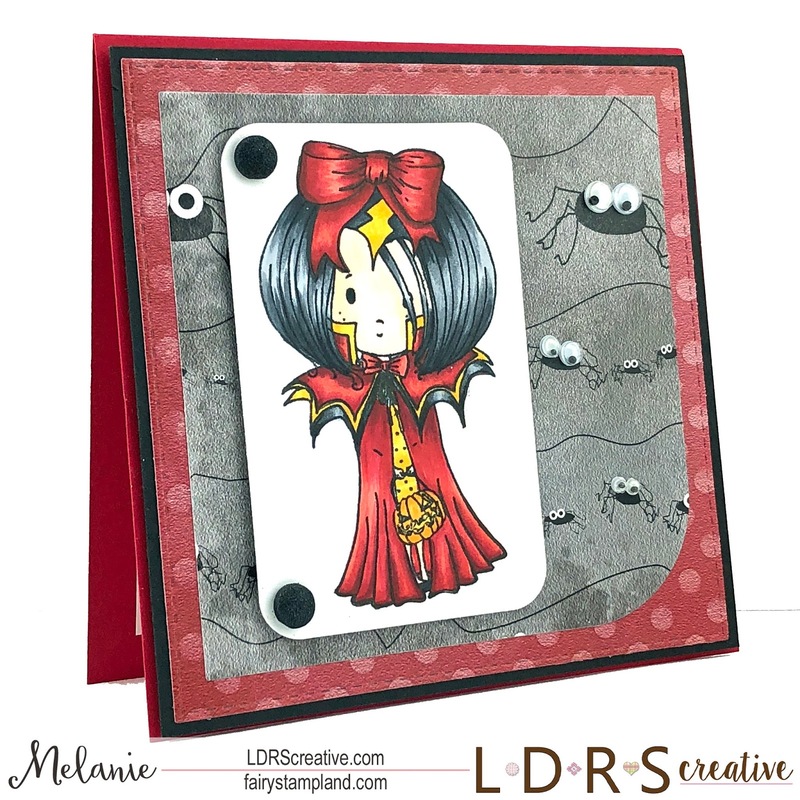 There are three Halloween stamps by Polkadoodles featuring Winnie. The third in the trio is Winnie Dracula seen below. Check out that paper as well. Those googly eyes fit the paper perfectly. So Clean and Simple but so fun at the same time. To check out all 3 of these Halloween Stamps simply CLICK HERE. 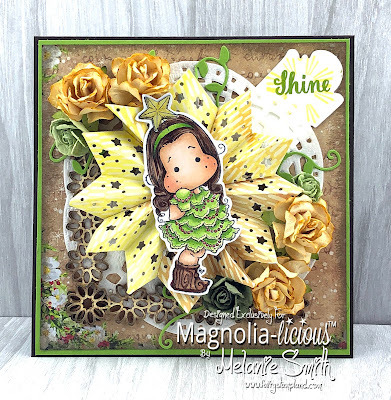 Just wanted to pop on and share my newest project featuring Magnolia stamps from the online store "Magnolia-licious" The stamp I have chosen to focus on is called "Tilda With Big Poppy" from the "Yay! It's Your Birthday" Collection. 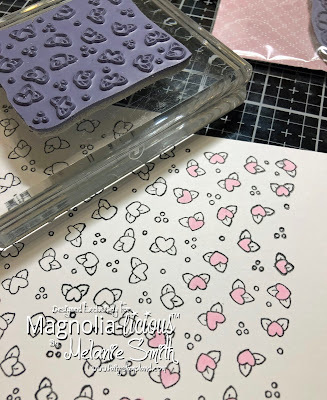 When beginning to design this I wanted to play around with making my own patterned paper so I am using the "Heart Flower Background" stamp to do this with. The stamp was stamped numerous times to create this background paper. I then colored it with Copic Markers that coordinate with the focal stamp. I absolutely love the way this all matches Tilda's dress and even the little flowers on the hedge hogs. 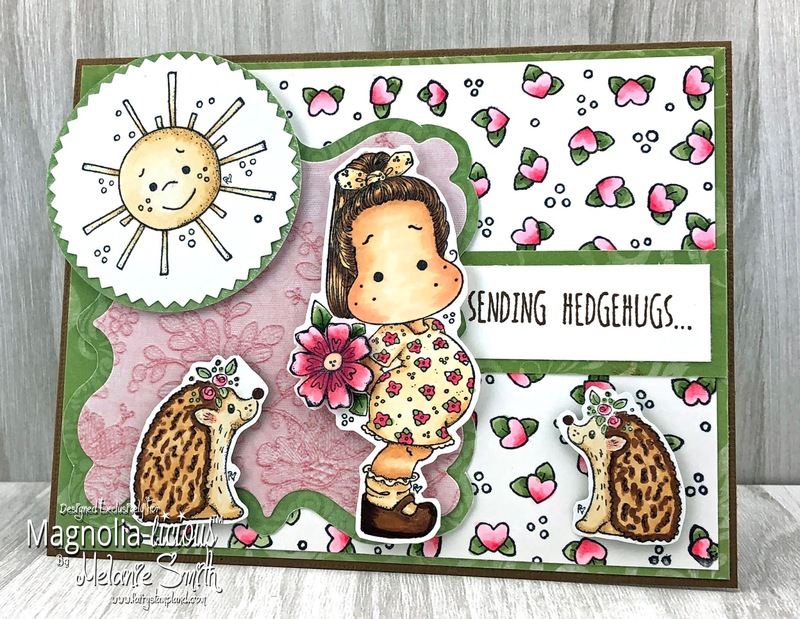 Those are also available in the store and are called the "Hedgehog Kit"
Both the Hedgehog Kit as well as the Sunlight stamp are from the "Sunbean Collection"
Magnolia Tilda with Star ~ A Untraditional Christmas Card! Welcome Back! 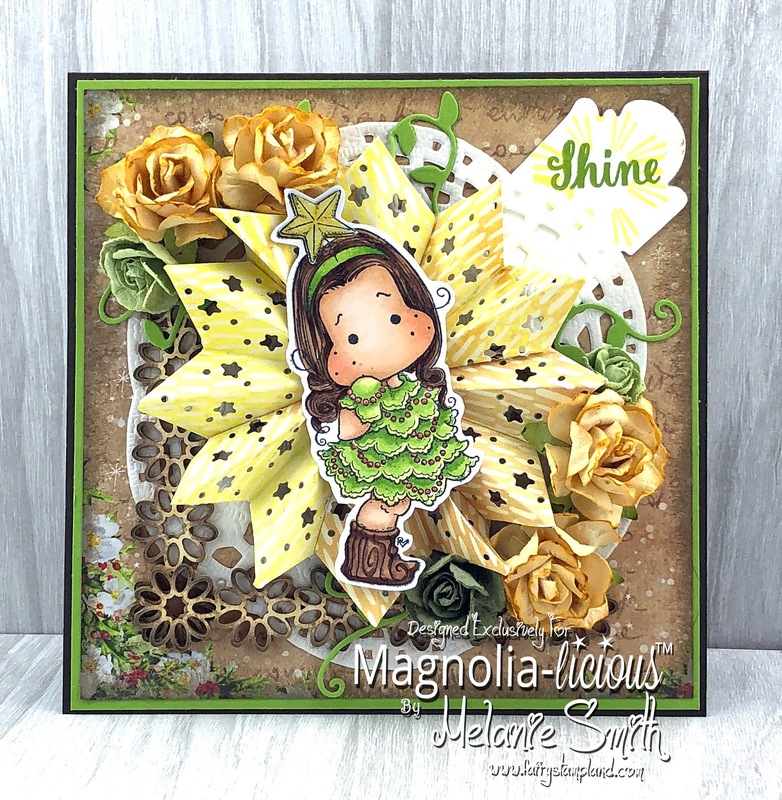 Today I am coming to you as part of the Magnolia-Licious Design Team. 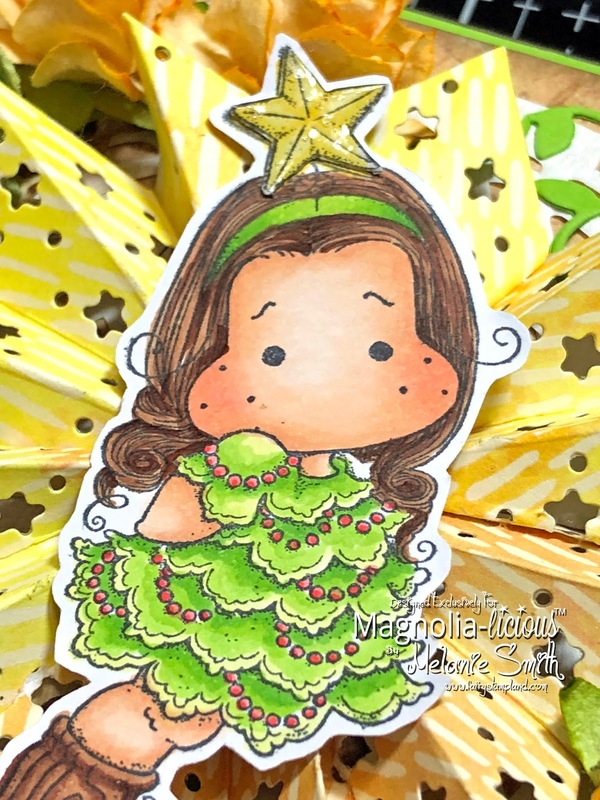 I am featuring a lot of products in this fun Non Traditional Christmas card. 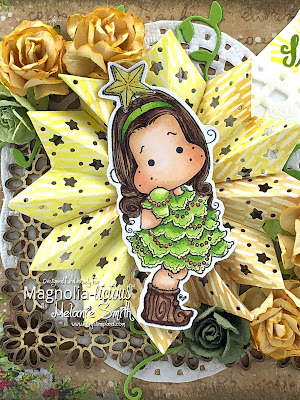 I have numerous items in this card beginning with the Lemon Craft Christmas Carols 6x6 paper pad. Lemon Craft has beautiful papers and a lot have a vintage feel to them. Tilda With Star is the focal here and she was really fun to color. I used Copic Markers in the following color combos. I even added a second star covered in Glossy Accents. See below! 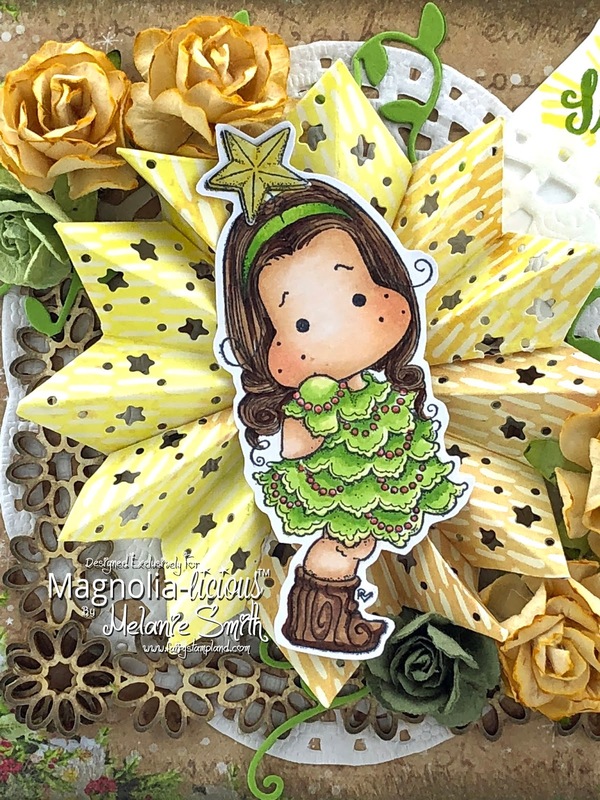 The star focal behind Tilda was made with the Christmas Star Doohickey Die. You cut the die 6 times and using the score lines you form an accordion style fold. Designer Tip: Use patterned paper and it comes together quite nicely. 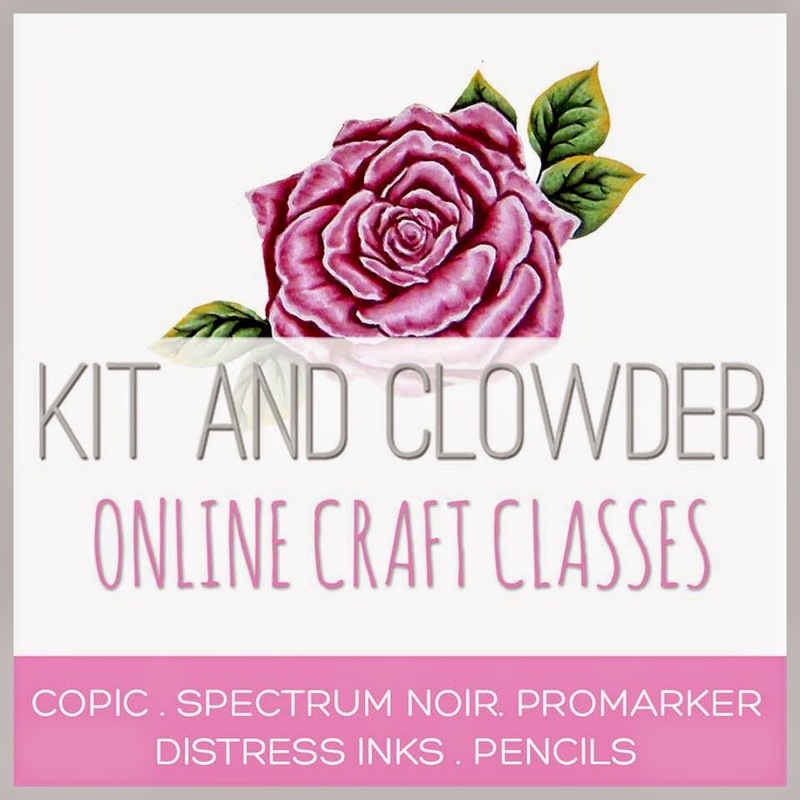 Make sure to use a quick drying glue like Tombow Liquid glue. With the embellishments I chose paper roses from my stash along with the Laser Love # 7 Daisies and the vines from the Cross With Flowers & Leaves doohickey die set. My goal is to inspire so make sure to get crafty today! I am here today to share some cuteness with all of you! 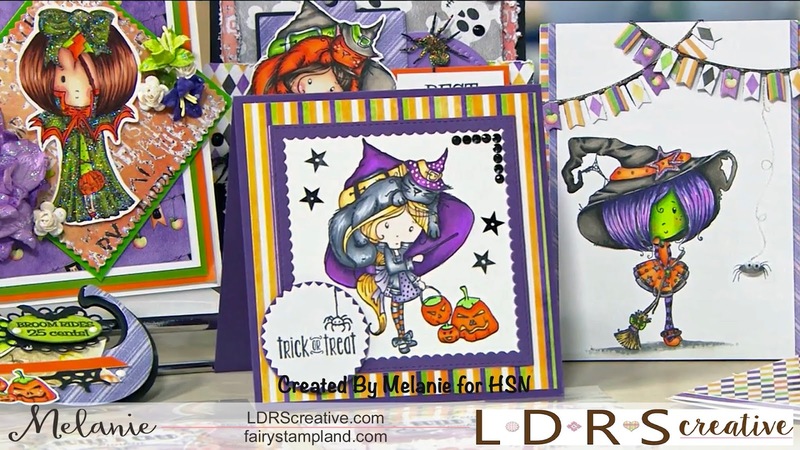 My newest project featuring the LDRS Creative "Happy Fall" Stamp set & 6x6" paper pack. These bunnies have taken a hold of my heart, they are so precious! I have used numerous LDRS Creative items here including the following. 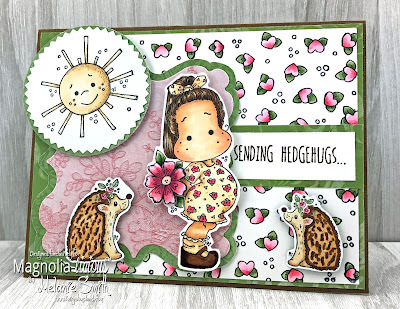 When I began to design this card, I knew I wanted to do something to really show off this adorable bunny stamp. So I decided to reach for my beloved LDRS Creative dies and chose the Holly Wreath Circle Die Set. The inner circle die has a light cross stitch like border and is the perfect size but I didn't want to create a holiday card so I switched things up and decided to use the Dew Drop Circle Die to layer behind the smaller circle which really helps showcase this stamp. Look how perfect these all layer together. I really like being able to use seasonal sets year round! 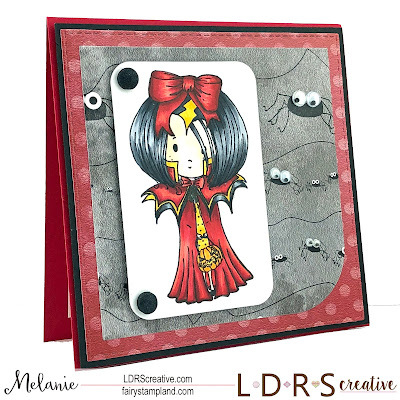 I wanted this card to be clean and simple so I choose a paper from the Happy Fall 6x6" Paper Pack to use as the background and the small banner across the bottom of the card. The sentiment used is from the Happy Fall Sentiments Stamp Set fits nicely inside the oval sentiment die from the Scalloped Rectangle Die Set. Lastly I stamped a bunch of pumpkins from the Happy Fall Stamp Set and fussy cut them out. Between the Happy fall paper and the pumpkins sprinkled everywhere it truly now feels like fall.